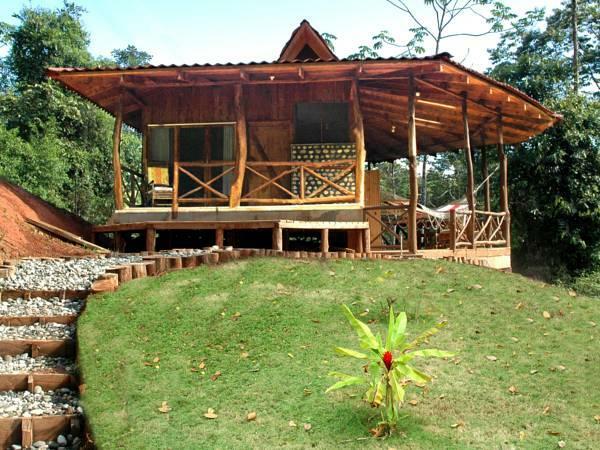 ﻿ Best Price on Esquinas Rainforest Lodge in Golfito + Reviews! Featuring a natural swimming pool and an extensive tropical garden, this eco-lodge is set in the rainforest just 1.2 mi from La Gamba Village, on the edge of Piedras Blancas National Park. Furnished in wood, rooms offer a fan, desk, seating area, a wardrobe and a private bathroom. The jungle villa also features a kitchen with a dining area, kitchenware, a stove and a fridge. Guests at Esquinas Rainforest Lodge can enjoy all meals included in the rate. There is also an on-site bar available. 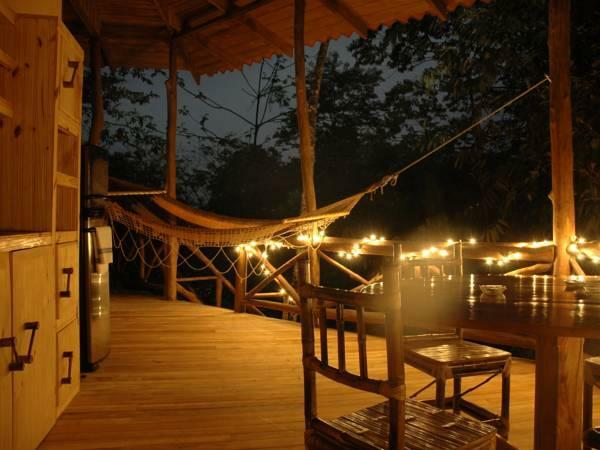 This lodge is part of the prize-winning Rainforest of the Austrians project, and can arrange activities such as hiking in Piedras Blancas National Park, horseback riding to Chorro Waterfall and boat tours in the Gulf of Dulce. The property is 25 minutes’ drive from Golfito Village and 5 mi from the Golfito Local Airport. San José is a 45-minute flight or around a 6-hour drive away. In the middle of a beautifull rainforest, many birds and other animales.